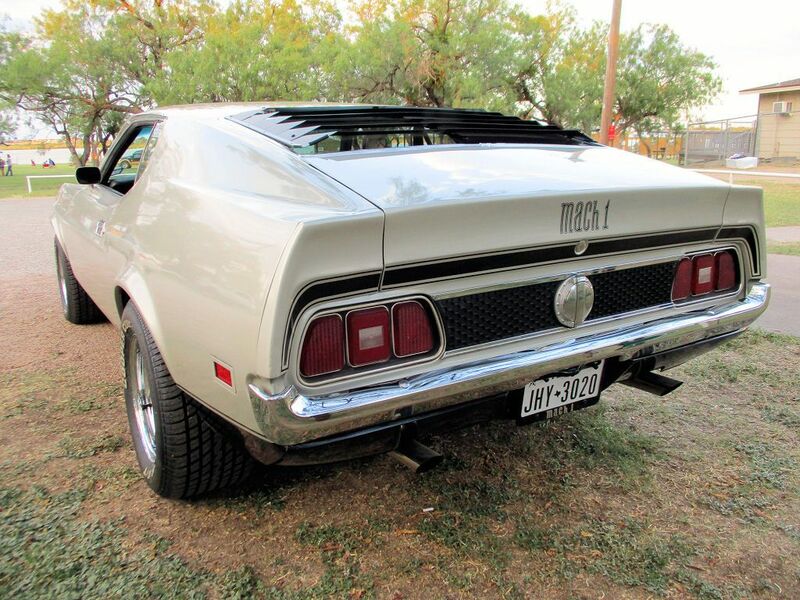 Hello everybody, I have a 1971 Mach 1 with louvers and I’m considering getting a backup camera, I am wondering if anyone has any recommendations? I know I can get flamed for having a backup camera on a classic, but better safe than sorry haha. Thanks for letting me know luxstang, I searched the threads and didn’t see anything. Maybe I didn’t do a good enough job searching. Try searching for "rear view camera", that should bring up some. I put a back up camera on mine as well, but it did stop working about two years ago and now I have a lot more confidence backing the car these days so I haven't bothered to replace it yet. The best thing I ever did though was add a camera that looked out into the rear passenger side blind spot. I literally look at it every time that I change lanes to the right and it's been invaluable for spotting cars hiding behind the massive rear roof pillar. I used a spy camera rather than a reversing camera though because the spy cameras aren't wide angle vision. Before this I had tried the wide angle camera and it was useless because it made the cars on the screen too small to see. Driving a 71-3 sportsroof is an exercise in situational awareness. You have to be on your game. Any time I merge into a lane on the right, I pass the next in line and pull in front of them. 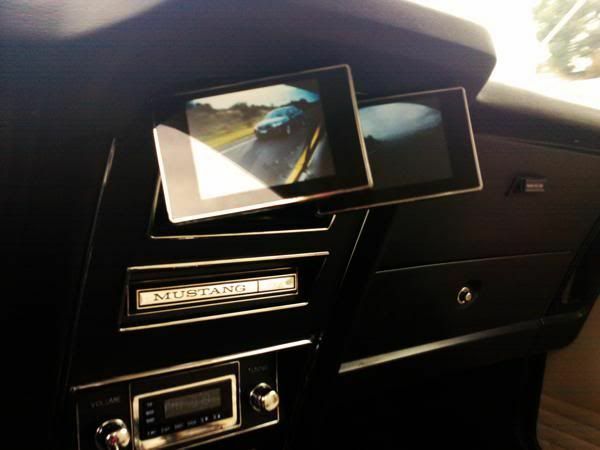 A backup camera isn't a bad idea, I wouldn't want video screens hanging around. One way to do it would be the type that replace your rearview mirror, or those that slip over it. No specific recommendations, just a couple I found on amazon. I can't remember which thread it was, but I have a Pyle Audio camera and monitor set-up in mine. The camera is part of the rear license plate frame, and the monitor is a full width rear view mirror 'clip-on' unit. rather than leave it clipped onto the mirror all the time, I picked up a GPS Tank Bag mounting bracket from Twisted Throttle.com to mount like a third sun visor. Also from Twisted Throttle.com, I found some LED license plate fasteners, since the factory LP light is right above the camera, it would effectively blind it at night. The only bad part is the wires have to go through the LP frame and LP itself when installing, but how often will you be removing/reinstalling the LP & frame, though? I'm tossing around the idea of getting an electric trunk lock popper and use the trunk lock for the camera - that's really the best place for the camera, IMHO. I didnt want to run wires thru the car so went with a wireless system. 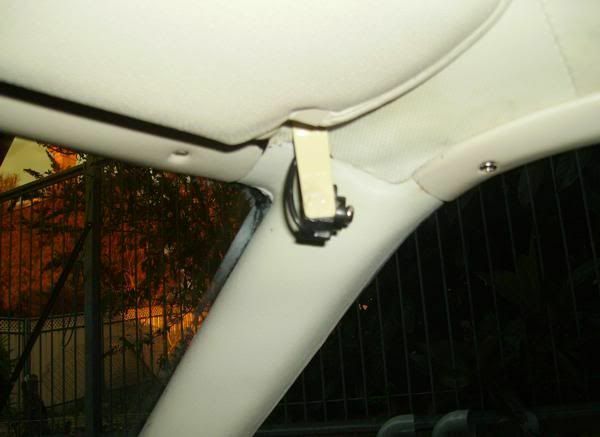 The back transmitter connects into a brake light wire and the front receiver plugs into the lighter. The monitor is the small pop-up screen monitor and the camera is a license plate mount.